Zee world brings utmost entertainment to the fans with their captivating Indian series and movies. But, all these would not have been possible without the actors/actresses involved in the shows. Hence, we bring you the most important aspect of your favorite actor’s life which is their love and marriage! 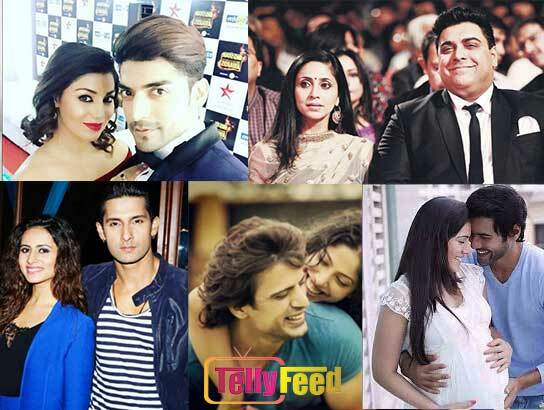 Below are your top 5 zee actors who got married to beautiful actresses you might know. Shabbir Ahluwalia is a popular actor also known as Abhi in Twist of fate on Zee world. He is married to an actress who you will be surprised to know. Shabbir is married to Kanchi Kaul. WHO IS KANCHI KAUL? Kanchi is a recognized actress of ours known for her role as ‘Soni’ in My lost home on Zee world. She is the third Soni who ended the series with ‘Mahi’. HOW THEY BEGAN THEIR LOVE STORY: Soni(Kanchi) and Abhi(Shabbir) met each other through a popular producer known as Ekta Kapoor. They were initially mere friends but later got into a love affair after a while. Before their marriage, Soni(Kanchi) made a statement saying “they thought their affair would be just intimate and quiet but due to their family and friends, they might just make it an elaborate one”. Abhi and Soni tied the knot in November 2011. Their union is blessed with 2 kids. Ram kapoor is otherwise known as ‘Jay walia’, the husband of ‘Bani’ in The Promise currently airing on Zee world. He is a good looking actor who is married to a recognized actress, Gautami Gadgil. DO YOU KNOW? : that Gautami is a known actress who was also seen as ‘Shruti’, the mother of ‘Ami’ in a Zee world serial titled “Life of Ami”. HOW DID LOVE BLOSSOMED BETWEEN THEM? Shruti(gautami) is a model and actress who met Jay(Ram) through an onscreen romance in the serials of “Ek Mandir”. At first, they were completely different from each other. Their thinking, opinion and ideas doesn’t correlate. But, as time goes on, the opposite attracts when they fell in love with each other. The duo past relationships had failed, perhaps due to their present future. Ram kapoor proposed in a simple and sweet manner and they got married February,14th 2003 which is Valentine’s day!. Mohit Malik is popularly known for playing the character of an arrogant ‘Samrat’ in doli armaano ki(lies of the heart) and older ‘Bharat’ in banoo main teri dulhann(the vow). Opposite to the role he played, Mohit is a loving, jovial, and free person. The surprising thing is who he got married to. WHO DID MOHIT (BHARAT/SAMRAT) MARRIED? Mohit Malik is happily married to Addite Shirwarkar. Addite is none other than ‘Chandra’, the younger step sister of ‘Sagar’ in The Vow. Amazing! Isn’t it? THEIR LOVE LIFE: Samrat(Mohit) and Chandra(Addite)first met on the sets of “banoo main Teri dulhann”. They both liked each other but was hesitant how to approach. Then, Mohit summoned up courage and confessed his feelings to her. Initially, Addite thought he was joking but she later realized he was serious about it. Mohit is a Punjabi while Addite is a Maharastrian so they were some cultural differences among the families during the pre-wedding rituals but Mohit didn’t let this have any impact on their relationship. They got married on the 1st of December, 2010. Ravi dubey is a very big hearthrob of Zee world fans due to the heroic he played as Siddharth Khurana in the most loved series, ‘King of hearts’. He is married to a beautiful woman. HIS WIFE: Is none other than a popular television actress, Sargun mehta. HOW THEY FELL IN LOVE AND MARRIED: Ravi(sid) and Sargun met onscreen in the serial “Karol bagh” in 2009. They were to play the role of a couple, but they had different views about each other. Later, they got attracted and became ordinary friends. After spending some time together, they started to feel like lovers. So, they began dating after. They took part in reality shows and dance competitions. In contrary to his role in series, Sargun most times complained about Ravi being unromantic. But, Ravi(sid) gave her a romantic shock when he went on his knees and proposed to her in front of everyone. She said ‘yes’ and they had their big wedding on the 7th of December, 2013 with lots of bolly celebrities attendance to their marriage. Gurmeet Choudhary is one of the most loved actors on Zee world. He played the role of ‘Yash Scindia’ in the fans favorite, “Married again”. 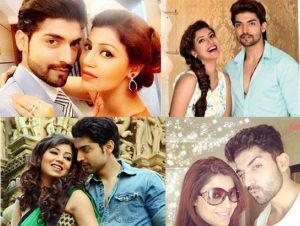 Another exciting fact about him is, Gurmeet(Yash) got married to a co-star, television actress known as Debina bonnerjee. HOW THEY FELL IN LOVE: Gurmeet(Yash) and debina first met in a talent contest that happened in Mumbai in 2006. They later got to know each other better through Debina’s friend. After which, they began to form a bond. According to Debina, Gurmeet(Yash) is a shy type and hence, was hesitant to confess his feelings, but she somehow managed to make him voice it out. They started their love affair and Debina stated that she was attracted to him due to his hardwork and looks. Gurmeet style of romance is so funny but she loves him irrespective of this. After 5 years of courtship, he finally proposed to her with a diamond ring and they got married on the 15th of February, 2011.